James W. Kelly was considered a logger when, in 1963, a federal recreational study named Brodie Mountain as good spot for a commercial ski venture. Kelly's father had purchased much of the mountain, including a defunct rope tow ski area once owned by Gregory Makaroff, for logging purposes. Starting in the winter of 1964, Kelly built new ski trails, lifts, and base area buildings, opening Brodie for the 1964-65 season. A sizable snowmaking system would be added the following season. While Brodie would be a popular ski area for a few decades, business started to wane in the 1990s. 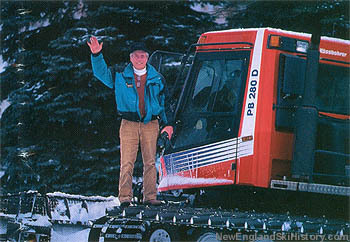 In November 1999, Kelly sold Brodie to Brian Fairbank and Joseph O'Donnell of rival Jiminy Peak. The new owners would close Brodie after the 2001-2002 season. During his time in the ski industry, Kelly had also developed a fairly significant real estate portfolio. After selling the alpine ski area, Kelly redeveloped the cross country ski area into Donnybrook Country Club, which opened in 2008.